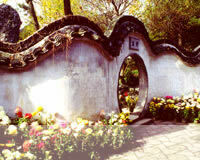 Suzhou, a cultural and historical city in east China's Jiangsu Province, is celebrated around the world for its elegant gardens. 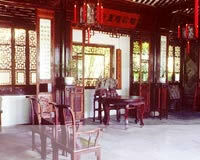 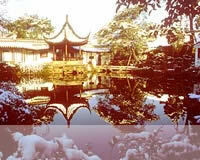 The history of Suzhou's gardens can be traced as far back as the Spring and Autumn Period (770 BC - 476 BC). 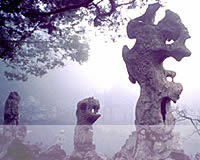 Distinctive gardens continued to appear throughout the subsequent dynasties, but it was during the Ming (1368 - 1644) and Qing (1644 - 1911) that the garden art of Suzhou was at its zenith. 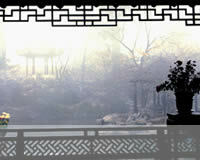 The prospering city and its outskirts were dotted with exquisite private gardens. 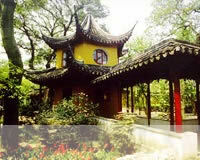 Dozens of them, such as Zhuozheng (Humble Administrator's) Garden, Liuyuan (Lingering) Garden, Wangshi (Master of Nets) Garden and Huanxiu (Embracing Beauty) Mountain Villa, are still well preserved today.